Hit with precision! 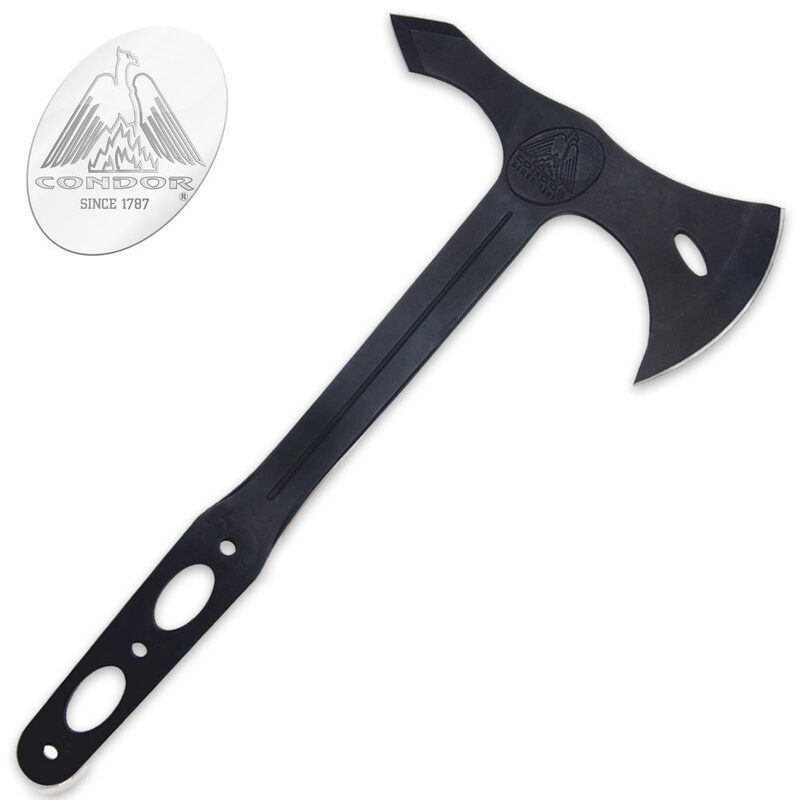 This dual purpose throwing and self defense axe is forged from one piece of 1075 high carbon steel and coated with a black non-glare finish. An excellent choice for target practice, this quality axe will keep you throwing for hours on end. This piece has a 7 in. blade and measures 13 2/5 in. overall. I ordered two of these, and one broke on the third throw. Never fear though, after describing what happened to customer service, another is already in the process of being shipped! It's a great throwing axe. Weighs a bit heavy but with the right upper body strength, it'll be fine. Besides throwing it I used it for some cutting and it worked out great! The back tip is dangerous and pointy. It's from a company called Condor tool and knife and made in El Salvador. El Salvador is below Mexico and above South America if I'm correct. TrueSword's customer service is great as always and a speedy shipping rate. This came with no sheath, and I plan to wrap paracord around the handle for a good grip.